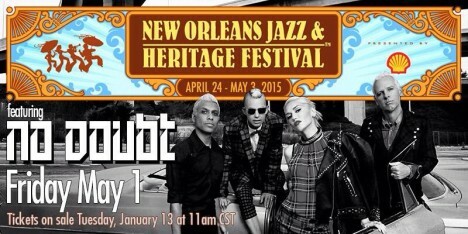 Thanks to Pam for the head’s up, No Doubt has announced that they are playing at the 2015 New Orleans Jazz & Heritage Festival! Hello! 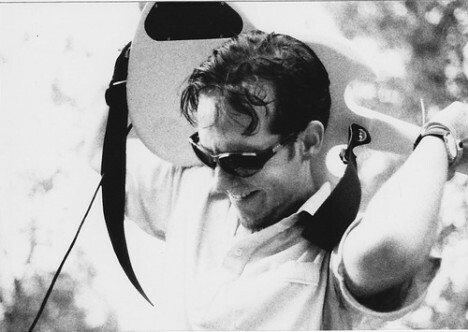 Thanks to YouTube user mykmenez for uploading his own personal, rare, recording of a small February 1996 record store set at Plan 9 Records in Richmond, VA! No Doubt was in town, as they opened for Bush at the Richmond Coliseum on February 20, 1996. Hello! 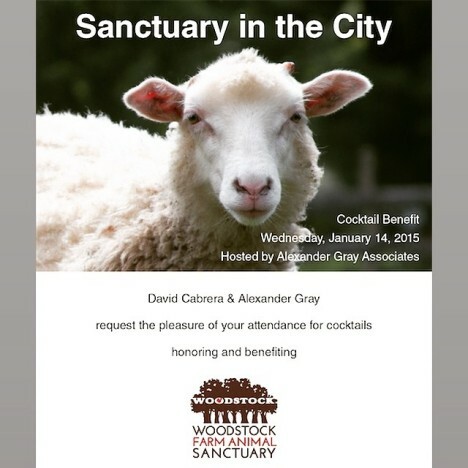 Tony recently posted a message on Instagram in support of a cocktail benefit happening on the 14th for Woodstock Farm Animal Sanctuary in NY! He is on the Host Committee. 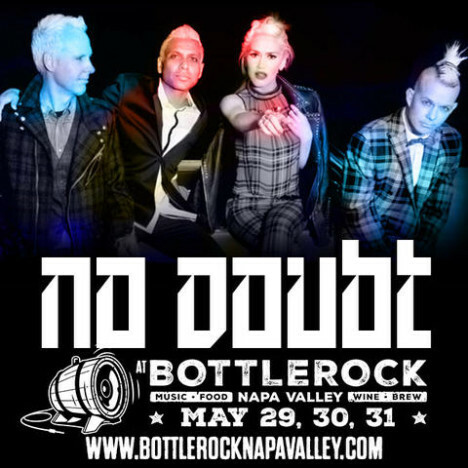 More importantly, Adrian was happy to reveal that No Doubt will be one of the headliners at this year’s BottleRock festival. This marks the first time they’ve played in the Bay in over 6 years, a streak that’s gone on for far too long. So what Napa attraction has Adrian most excited? 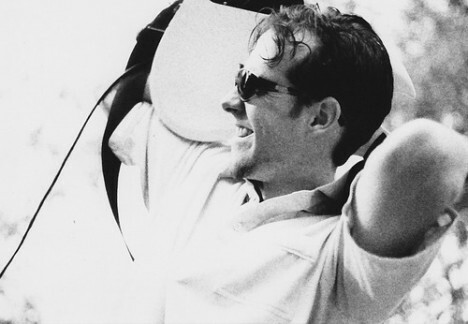 Well, wine and golf are both near the top of the list – but he’s most excited to get back on stage with No Doubt to play in front of their rabid fan-base. “We’ll be returning to the Bay Area for the first time since 2010 for a performance at BottleRock Napa 2015 the weekend of May 29, 30, and 31! Tickets can be purchased on Eventbrite starting on that date and time. If you have a Citibank credit card, you can get access to presale tickets now by entering the first six digits of your card on the web site. Hello! 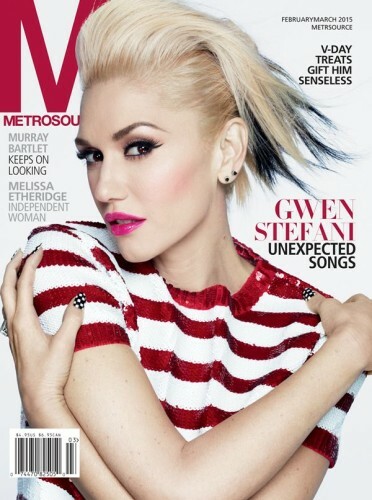 Gwen is on the cover of the February/March issue of Metro Source magazine! After swearing off going solo, Gwen Stefani surprised fans by joining the coaching panel of The Voice and releasing tracks from a new solo album. Now, she talks to Metrosource about the happy accidents that helped change her mind. Gwen Stefani’s life has been full of surprises lately. After two successful solo albums, she had reunited with No Doubt and had no intentions of doing another solo album anytime soon. But then life threw Gwen a few curveballs — including an unexpected pregnancy, a coaching gig on NBC’s hit The Voice and new opportunities to collaborate with Pharrell Williams (who helped pen Stefani’s massive hit “Hollaback Girl”). Suddenly, a third solo album went from impossible to inevitable. We spoke to the world’s busiest blonde as she wrapped up her debut season on The Voice with an explosive performance of the track “Spark the Fire” and continued to craft her forthcoming album. “I’m excited. I love talking about myself,“ Stefani jokes as we dive into a conversation that touches on everything from her constantly evolving creative process to the tribulations of making eye-popping music videos. It’s hard to believe, looking at the eternally youthful Stefani, but she started recording with No Doubt in the mid-1980s. Those who know the band from massive hits like “Don’t Speak” (which spent 16 weeks at number 1 on the Billboard charts) may not realize that the band’s breakthrough album Tragic Kingdom was actually their third. From the beginning, Stefani was a study in contradictions that captured the public’s imagination. Her flawless platinum locks, often swept up in a way that recalled 1940s glamour, might not have seemed a natural match with her cutting-edge fashions and hanging-with-the-boys attitude. Yet somehow, on Stefani, it all worked. So it was no surprise when in 2004 she embarked on a solo career, releasing Love. Angel. Music. Baby. What was surprising: Stefani turned out to have even more unique tricks up her fashionable sleeve. Much of the music on L.A.M.B. and its follow-up The Sweet Escape hearkened back to some of the best pop of the ‘80s — helping to usher in a major retro revival. Other aspects of the projects were wildly forward-thinking — incorporating contemporary Japanese culture (notably in the form of her “Harajuku Girl” dancers) and adding phrases like “hollaback girl” to the popular lexicon. In 2011, No Doubt reunited to write, record and perform in support of their sixth album Push and Shove, and Stefani gave every indication that she would make music exclusively with the band moving forward. At least that was the plan. “This was never intended to happen,” Stefani says of the as-yet-untitled solo album. But once she’d been asked to do The Voice, she knew she wanted to release new music while she was on the show, and she knew there was no way another No Doubt album could materialize in that time. “Our last record took three years to make,” Stefani explains — blaming some of that slowness on her own busy schedule balancing work with her fashion line L.A.M.B. and family obligations (Stefani is married to British musician Gavin Rossdale and the mother of three boys). So she had to find another way to make music. “It’s so weird, the creative process; especially these days, after having done so many things in different ways,” says Stefani, who tends to use the word weird with a giddy frequency that is both adorable and hilarious. Stefani tells me that the album “started with visuals.” She describes putting together “mood boards” of colors, inspirations and “vibes” — hoping to both reconnect with her last solo period but also move forward. She recalls saying to Pharrell of the first two tracks they worked on, “Whoa, dude, you’re going to go there? These songs are kooky!” The following morning he surprised her with the beat to what would eventually become the album’s second single, “Spark the Fire,” and, “I was like, That’s it!” she says. And though much of the visual pyrotechnics of the “Spark the Fire” video were also layered on with computers after filming, Stefani had a chance to experience the live equivalent when she premiered it on The Voice. “When I was on the Voice set, the people there are just so incredible and I was like, “Okay … can I have a cloud? And can I have this? And can I have that? It was: Check! Check! Check! Everything I wanted, they made happen. It was the weirdest experience. Usually there’s a lot of pushback and budgets,” she says of the performance (during which she did, in fact, ride in on a giant, smiling cloud). You are currently browsing the Greener Pastures – a No Doubt fan site archives for January, 2015.